Last Saturday, September 23 took place in L’Ampolla (Baix Ebre) the last of the seven regattas that comprise the Catalonia Championship for water scooters 2017. The regatta has had the organization of the Catalan Federation of Motonautics and the support of the Tourist Board of L’Ampolla, the Red Cross of the Bottle, the Ampolla Boat Club and the Masachs Caves. With this race there have been thirteen consecutive years of regattas in l’Ampolla and a season of success has been closed in which, for the second consecutive year, a total of seven scores have been disputed. This goes beyond any other autonomous or state championship and is at a comparable level with the championships of Spain in the early 1990s, when it also had six or seven races per season. Currently, the Spanish Championship has three regattas. 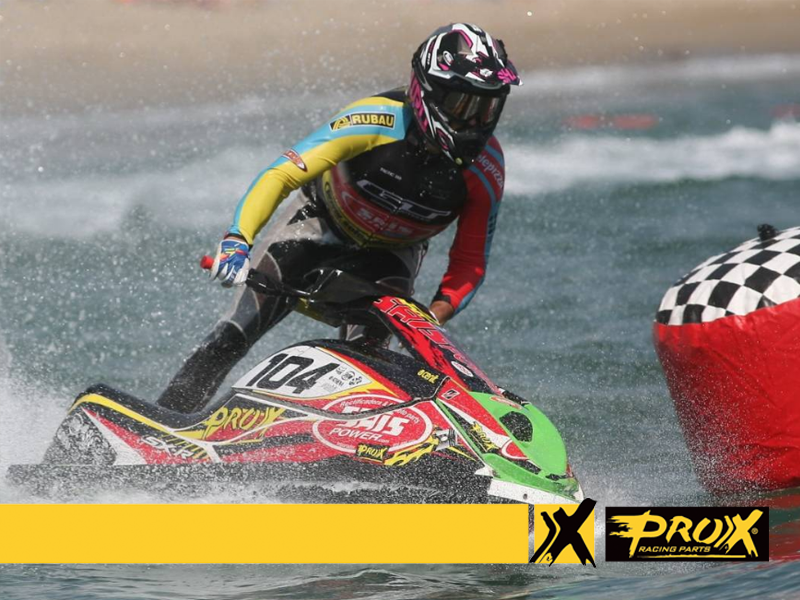 The 2017 championship has traveled throughout the Catalan coast, with races in Empuriabrava, L’Estartit, the Olympic Channel of Castelldefels, Cambrils, Deltebre, Amposta and L’Ampolla. In addition, the Catalan championship has had the participation of pilots of Valencia, Andalusia and Madrid, as well as two French pilots in some of the races, but without scoring. The regatta of L’Ampolla was developed on a prognosis. Although the day was raised, the forecast of good weather, sun and sea was calm, which allowed the forecasts to be met in terms of results. In the GP3 category the title was decided in favor of the Girona Roger Pujol so he was limited to a conservative race, which allowed him to finish third, just behind Jordi Tomás and junior Joan Sevil, who starred in spectacular horsepower from the middle of the group to the race head. Pujol is the new Champion of Catalonia but the new runner-up is Denis Munnikhuis, who managed to overtake Alex Muñoz and add a point more than he – just one – to the general classification. The title in the F4 category, reserved for unlucky pilots, was to be decided, but there were no surprises either. Jordi Pratginestós won the race after passing the first goal line in the first two hoses and doing second to third. Another driver who had the option to the final podium was Jordi González, who made the forecasts good and was second, winning even the third hose, while the third in contention, Genis Vilalta, was relegated to ninth position because of a bout that damaged his motorcycle, but without personal consequences for any of the participants. Also in this case, it is necessary to pay attention to the score, although despite not scoring the Bottle, Vilalta kept the second position in the general classification of the championship, with two points ahead of Gonzalez. Jordi Pratginestós, Club Motonàutic Castelldefels. 376 points. Genis Vilalta, Club Motonàutic Amposta. 330 points. Jordi González, Club Motonàutic Amposta. 328 points. Roger Pujol, FCM. 366 points. Denis Munnikhuis, GEN Roses. 296 points. Alex Muñoz, Club Motonàutic Amposta. 295 points. Drama at French GP for Van De Ven Shaun Simpson and Arnaud Tonus on our booth, EICMA!